5 Australian and 5 New Zealand artists challenging traditional printmaking structures. June 2013, North Art Gallery, Auckland, NZ. Gaffa Gallery, Sydney, 2014. 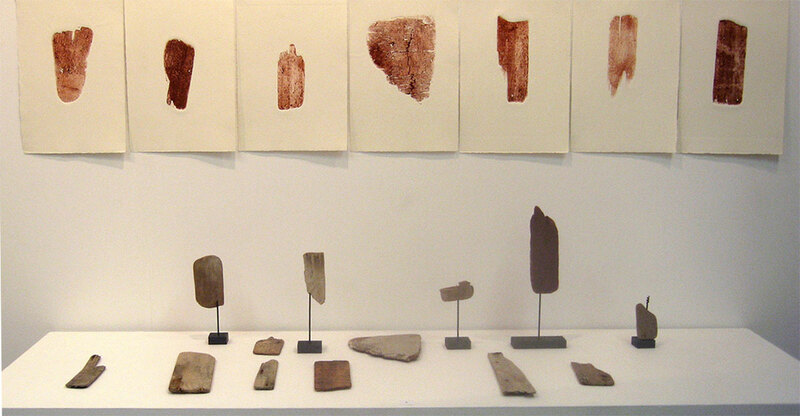 Shards, Installation of found wooden objects, unique state prints on paper, wire and charcoal, approximately 70 x 200 x 50 cm, 2013.